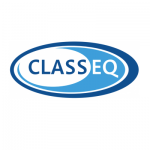 Please check out our Classeq Price list for competitive prices on sales, install and repair. The Eco range glasswahers are high volume glasswahers with built in chemical dispensers. Single piece wash arms provide highly effective wash action for up to 750 glasses per hour. Reduced water consumption, 10 or 18 litre wash tanks, ensures minimised running costs. Double skinned door reduces heat loss and lessons noise in operation. Removable rack guides and wash chamber door allow easy cleaning and excellent service access. The Classeq Duo range glasswahers are high volume glasswahers with built in chemical dispensers. Single piece wash arms provide highly effective wash action for up to 750 glasses per hour. Reduced water consumption, 10 or 18 litre wash tanks, ensures minimised running costs. Double skinned cabinet and door reduces heat loss and lessons noise in operation. Removable rack guides and wash chamber door allow easy cleaning and excellent service access. All Duo machines are complete with drain pump, rinse pump and WRAS approved air gap for simple and compliant installation. The Classeq Hydro range Dishwahers are high volume Dishwasherswahers with built in chemical dispensers. Single piece wash arms provide highly effective wash action for up to 360 plates per hour. Reduced water consumption, 10 or 18 litre wash tanks, ensures minimised running costs. Double skinned door reduces heat loss and lessons noise in operation. Removable rack guides and wash chamber door allow easy cleaning and excellent service access. The Classeq Duo range dishwahers are high volume dishwahers with built in chemical dispensers. Single piece wash arms provide highly effective wash action for up to 750 dishes per hour. Reduced water consumption, 10 or 18 litre wash tanks, ensures minimised running costs. Double skinned cabinet and door reduces heat loss and lessons noise in operation. Removable rack guides and wash chamber door allow easy cleaning and excellent service access.